‘Tis the season to host a party! 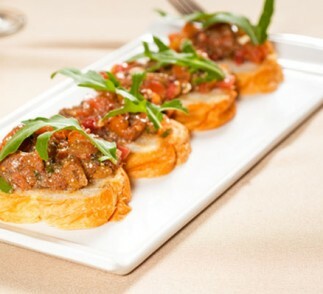 A delicious and easy appetizer, your family and friends will love our apple-onion bruschetta for its taste, and you will love it for its ease of preparation! In a large pot, coat the bottom with olive oil and turn heat to medium-high. Add onion and apples to pot, season with salt, pepper, garlic powder and a dash of cinnamon. Stir often until onions are caramelized, about 30 minutes. Meanwhile, slice baguette in slices, drizzle with olive oil and bake at 400°F for 12 minutes. 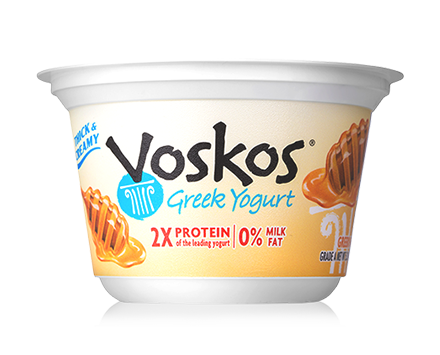 In a small bowl, stir together the VOSKOS® Honey Greek Yogurt and mascarpone cheese. When the baguette slices are done baking, spread the cheese mixture on each slice, top with apple-onion mixture and sprinkle with fresh chives.